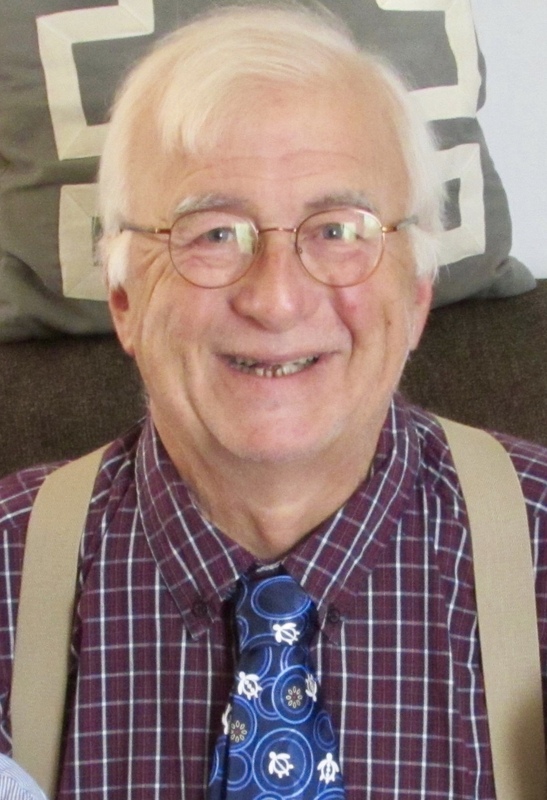 Edward J. Schweinfurth, 69, of LaRue, died Sunday evening March 17, 2019 at the Marion General Hospital. He was born in Marion on January 15, 1950, to Edward Harvey Schweinfurth and Kathleen Keller Schweinfurth. Ed grew up on his parents' farm near New Bloomington. Ed graduated from Elgin High School in 1968. He graduated from Ohio State University in 1974. He had a brief interruption in college to do basic training for the Army Reserves, and served in the Reserves from 1974 to 1980. Ed was a history and industrial arts teacher at Kenton City Schools from 1974 until 1987. After teaching, Ed turned his talents to a full-time business as an artist/craftsman and designed and made beautiful furniture, Windsor chairs, historical reproductions, and various artistic pieces. He was a member of Ohio Designer Craftsmen Guild, and was an annual exhibitor and frequent jurist in their Art Shows. Ed became interested in archaeology as a young teen, becoming a member of the Ohio Archaeology Society at 13. He later led many young people to this interest. Ed was involved in the dig of Ft. Morrow, in southern Marion County, in 1974, under the direction of Ohio State University. Recently, Ed was able to participate in the rededication of the historical site, held by the Marion County Historical Society. Ed was a member of two living history educational groups, demonstrating the American colonial times, the Brigade of the American Revolution and the Northwest Territorial Alliance. As an artisan, Ed made many reproductions to use in demonstrations. Ed also used his creative talents for cooking and had a large collection of all types of cookbooks. Many were historical, which connected to his interest in horticulture and gardening. He became a member of Seed Savers, which collects and perpetuates heritage seeds and plants. Ed enjoyed experimenting with vegetables, flowers and trees. He also worked to preserve local indigenous plants and prairie plants. Ed's hobbies and interests were wide and varied. He enjoyed " hunting" for fossils and artifacts. He moved a log house built by his ancestors from Pleasant township to his LaRue farm, and researched the methods used in order to reconstruct it, with the help of family and friends. He enjoyed identifying plants and wildlife and retained a lifelong curiosity about almost everything. He was a voracious reader of history, biographies, the arts and non- fiction. He always supported the libraries and literacy. Ed met his wife, Dianna L. Weller, at O.S.U. And they married on December 28, 1973, in Columbus. They have one daughter, Elizabeth Mae (Timothy) O' Jack of Saline, MI. And, two grandsons, Theodore and Connor. Ed has one sister, Jeanna Kay (Joe) Walker of Richland, MI. Ed always enjoyed spending a week with Jeanna and having her homemade pies every day. Ed has many cousins, nephews and nieces and an amazing number of friends far and wide. You leave our hearts with the gift of your fond friendship and companionship. May you and your family be at peace and be comforted by those many who have been guided by your sage advise, laughter, and knowledge. Jeanna,Joe and family so sorry to hear of your brothers passing. You are in our prayers. Ed was one of a kind. Expressing our deep felt loss of a dear 1968 classmate Eddie. Eddie was one of those I expected to live for ever. But life often has other plans or ways of making events happen. Deepest condolences to all the families. He was a very friendly customer of ours. We will miss him. My prayers to your family. Dianna and family, I am so sorry for your loss. Ed was such a wonderful person. My thoughts are with you all at this difficult time. My sympathies to Eddie’s family. Ed was 4 years older than me but we lived close to each as his father farmed my parents property. Ed showed me how to start a fire by twisting a stick in a block of wood. He always had new arrowheads to show that he had found. I have a love of history and being shown many of these things by Ed when we were kids has left me with a lot of fond memories. Thank you so much for sharing Ed with us all over the years. His passionate curiosity has inspired me. Love to you both. Prayers and blessings to Diana and all of Ed's family. I'll always remember and cherish his laughter and his kindness to all. Eddie was a great guy. His parents and sister are good people. Known then a long time. My prayers to the family, I am proud to have been able to call Ed not only my teacher but also my friend. He taught my friends and I so much that was not part of the regular curriculum, he challenged our minds and inspired us to achieve more and not settle. He paid my first year membership to the ASO and started me on a lifelong pursuit of artifacts. He had a way of teaching you without you knowing it. Godspeed my Friend, Keep your Powder dry and your tools sharp. Deepest Sympathies and prayers for comfort. Ed will truly be missed by many. Always had a smile and a story to share with everyone. His numerous talents will remain in shared memories. I extend my deepest condolences to Diana, Liza & family members on the loss of one great man, Ed. I will always remember him for his dry sense of humor, infectious laugh, warm demeanor, and generous spirit to everyone, especially children, like my sons, who delighted in spending overnights in the hayloft of his barn. Of course, his hand-crafted furniture and other objects were marvels of his ingenuity and creative mind. With love and prayers that you find peace in knowing that Ed made his community a much better place to be. So sorry to hear about Ed's passing. We were kind of neighbors as teenagers near DeCliff. However I didn't really know a lot about Ed, but after reading his obituary, I am really impressed by the man he had become. RIP Ed. On behalf of the North West Territory Alliance, I wish to express our sincere condolences. Records were found with Ed's signature as a founding member, adjutant, and commander of McCarty's Co'y of the Illinois Regiment. Ed's name will be added to our Last Post and his name will be read at the next three of our events. We were shocked and saddened by the news of Ed’s passing. Having spent many years working with him we know what a loss his kind, gentle and loving spirit will be to Dianna and the community. We were blessed to have accidentally run into him as he bought flowers last Spring. Listening to him hush about his family was pure Ed. Are prayers are with you all. My condolences to all of you. Ed will be missed by all of us from La Rue. He was a great friend and a fun guy to talk with. Sincerely joe! Diana, I'm so sorry for your loss. We're remembering you in prayer. You may not remember me . I am the younger sister of Carol, Linda and Mel Hanson. I have fond memories of you as a very sweet person. Peter and I are so sorry for your loss. Ed and Dianna were great friends to my husband Rick Thomas. I remember them all getting together and laughing into the night. And all those wonderful stories abou their adventures. Ed was a unique individual, which is very unfortunate as we need a whole lot more people like him in this world. I wish he had been my teacher in high school but at least I had the opportunity to attend a few "classes" in the shop. I have to wonder how much of a better person I could be had I attended more. Diana and Liza, I hope you can take comfort knowing that I think you are two of the luckiest people in this screwy world. So sorry for your loss. Ed was truly one of the kindest people I had ever met. My deepest condolences for you Dianna and all your family. In my minds eye I still see Ed walking about in his bright yellow frock coat at events and I hear his laugh. I know the pain you are going through, as my wife Debra died two years ago this month. Ed was one of the grooms at our wedding. You may see Ed in your dreams nearly every night, as I see Debra in mine. The pain will subside in time and be replaced by memories of all the good times you shared. Please take comfort in knowing that we all will be together again in heaven. Diane and family we are so sorry about Ed. Have not seen him for a long time but was one of our favorites.We used to own the apple orchard in Richwood and I had a antique shop .there Been to your home many times in the past.Ed made us 6 Windsor chairs that we have loved since the late 80s.How blessed John and I were to have known him.Rip our dear old friend . Ed was one of a kind he will definitely be missed.